Karting2Live is a non-for-profit organisation that runs on volunteers, grants and donations. 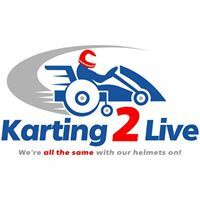 Based in Western Australia, with just one kart at the moment with hand controls, Karting2Live are actively seeking grants and hoping for donations to purchase more. The purpose of the organisation is to support individuals with limited mobility but not limited to that to get into the go-kart racing community.